What is a New Jersey Non-Compete Agreement? New Jersey Non-Compete Agreement: What Is It? 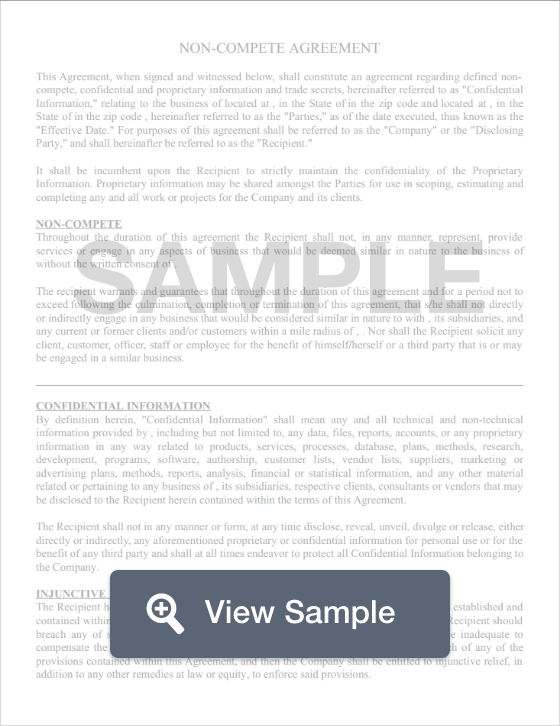 A non-compete agreement in the state of New Jersey is a legal document that companies use to protect their trade secrets from previous employees who may leak sensitive information post-employment. Employers use these agreements to restrict the actions of their employees after once their job comes to an end. Employers do this by forbidding individuals for working with competitors for a given time after employment and refraining from working for similar companies within a certain geographic region. Although New Jersey doesn’t have any specific laws that enforce non-compete agreements. N.J.A.C. 13:42-10.16 dictates that licensed psychologists may not enter into non-compete agreements. Furthermore, these agreements are to be fair in their scope and geographic limitations.